Maria Majone, the youngest of six children, was born on 21 June 1869 at Graniti, Messina, the daughter of Marta Falcone and Bruno Majone. At eleven years of age her father died. As an adult she was actively engaged in the parish’s Association of the Daughters of Mary. On 14 October 1889, aged twenty, she and her friend Carmela D’Amore arrived in Messina where Saint Annibale Maria Di Francia was waiting for them. In 1887 he had started the Institute of the Daughters of Divine Zeal in the Avignone district. On 18 March 1892 Maria received the name Sr Nazarena and committed herself to living her consecration to God at the service of her fellow human beings. Side by side with Fr Annibale she absorbed with discerning faith and heavenly wisdom, the Rogate spirituality that links prayer and apostolate, Rogate and charity. She absorbed tenderness for the orphans and the poor from Fr Annibale himself and became a mother to all those she met during her life. 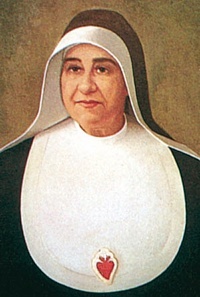 Mother Nazarena was the first Mother General and co-foundress of the FDZ. She died in Rome on 25 January 1939. Her mortal remains are in the Mother House in Messina near the Church of the Holy Spirit. The process of canonisation of this “faithful handmaid of the Lord’s harvest” began on 08 January 1992.